I have already reviewed several kinds of toothpaste with charcoal, and they did a fantastic job on teeth cleaning and making your teeth white. But also they were healthy natural products with zero critical ingredients. 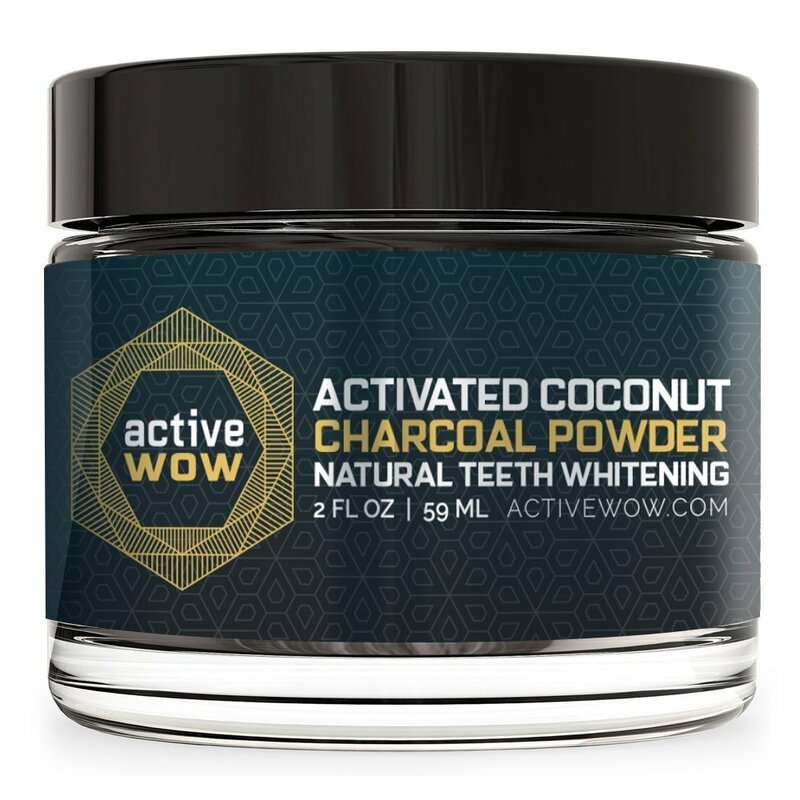 The difference with Active WoW Teeth Whitening Charcoal Powder is that this is not a standard toothpaste. It is a powder. And when you use it, your mouth will turn black. You can even get scared at looking your black teeth, but this is all process of the teeth whitening. After you rinse your teeth with water and remove all the black from your mouth, you can actually see your white teeth. Wet your toothbrush and remove extra water from the brush, so it doesn’t drop in the jar. After you make sure your toothbrush is ready, dip it into the charcoal powder and remove excess powder. Rinse your mouth with water and spit into the sink. Make sure you clean your sink after you are done. Charcoal is derived from coconut shells. Coconut has healing properties, and charcoal from coconut shells can only help your teeth. Charcoal is also slightly abrasive and will remove stains, plaque, and other unwanted products on your teeth. Bentonite powder will also assist in the same way. Bentonite powder is used to make sure all the plaque gets removed. Active Wow Charcoal Powder can remove unwanted stains from coffee, cigarettes, and wine. You can see first results just after 2 uses, but every person is different, and everyone has a different teeth discoloration. Someone with terrible teeth color may see results just after the first use. There is a huge debate online about charcoal and other abrasive ingredients that may hurt your tooth enamel. Dentists just don’t want to give the green light to a teeth whitening products based on charcoal. Other people say that charcoal can’t hurt enamel because on a Moh’s hardness scale charcoal is on level 1 or 2 and enamel is on level 5. For example, a diamond which is on level 10 can scratch a glass which is on level 5 (5.5), but glass can not scratch diamond. Charcoal is cheap, and apparently, it works and does magic to your teeth. Even some celebrities promoted charcoal teeth whitening, and we know that movie stars have beautiful white teeth. But dentists are against it. And maybe they have their own agenda, because what would happen if everyone would just use charcoal at home for teeth whitening? Dentists would lose their job and lots of money because teeth whitening treatments are kind of expensive. If you have concerns about charcoal teeth whitening, you can use it every other day or twice a week and still see results. Xylitol is used by many popular natural toothpaste brands, and my first impression was negative on this topic. But it is proven that xylitol is good for your teeth and poses no harm to your health. Only dogs have a problem with Xylitol, so you better make sure your dog has no access to your Active WoW Charcoal Powder. The sodium Bicarbonate primary job is to kill dangerous microbes in your mouth because it can keep healthier PH in your mouth. As well Sodium Bicarbonate is a well-known teeth whitening substance that was used for teeth whitening through the history. Orange Seed oil is used for flavoring. 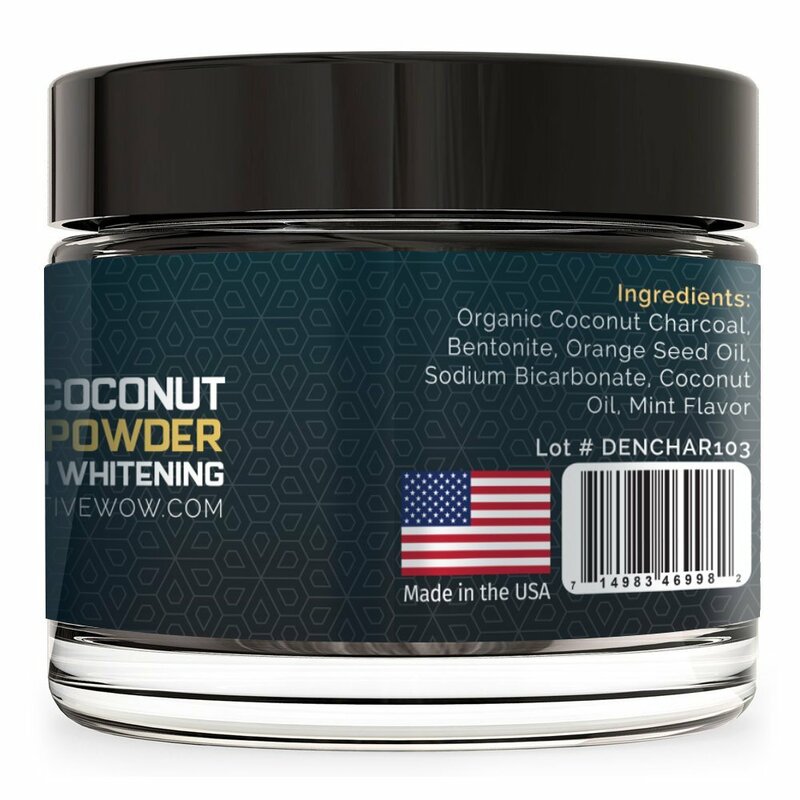 It makes Active WoW Charcoal Powder tasteful and in same process help in teeth whitening and refreshing your breath. And Coconut Oil is widely used in natural toothpaste products because of good detoxing and cleansing properties. You can never get too much of a coconut oil. Active WoW Charcoal Powder is another product that gets a high rating because of zero problematic ingredients. It will clean your teeth and make them healthier and whiter. You can see first results as fast as after just one toothbrushing with charcoal powder. There are some concerns among dentist, and at the moment there are no proves or scientific studies that charcoal will hurt your enamel and make your teeth decay.